The maritime station is a point of reference for all tourists departing and arriving and offers numerous useful services, from tourist information to catering. For those who need to reach Trapani by car from Palermo, take the highway A29 and follow it to the exit for Trapani. From the port of Palermo it takes about 1 hour depending on traffic, from Palermo airport about 50 minutes. For those arriving at the airport of Trapani, the journey time to reach the port is only 15 minutes. Once in Trapani, follow the signs to the port or center. For those who need to leave the car in Trapani, there is a multi-level municipal parking on the way to the port. It is the safest parking for long stops. Alternatively, there are other long and unattended parking lots in the same area. The station is located at the center of the Sanità wharf along via Amm. Staiti and is 1 km from the port which can be reached on foot. From the port of Trapani, ferries leave for the islands such as Pantelleria. Do you want to travel with your family to get to Trapani? 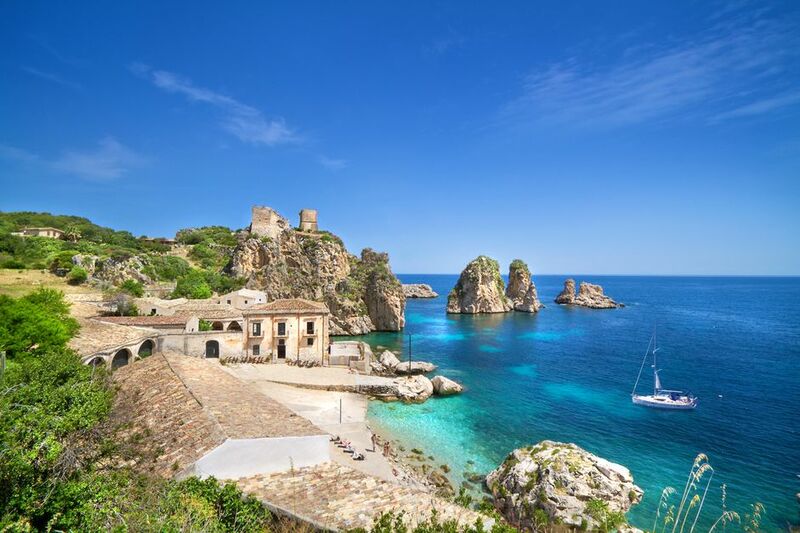 Do you like adventure and freedom and you want to reach the destination Trapani with your moto ? These are the shipping companies that serve the routes to Corsica Sardinia Elba Ferries, Collegamenti Interisole, Ustica Lines-Liberty Lines.